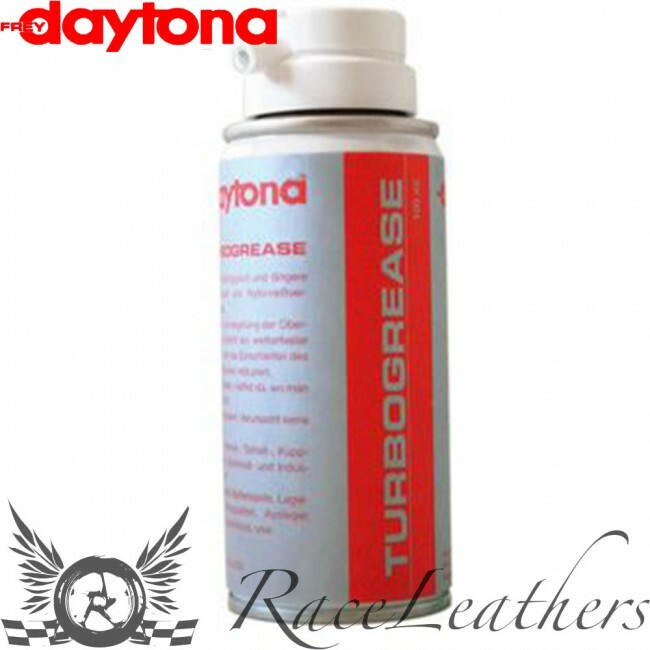 Daytona® Turbo Grease zip care spray (100 ml) was developed ­specifically for Daytona®. Friction and grinding of the zip slider is minimised by Teflon particles. It remains smooth-­running and dirt-repellent, and lasts longer. Turbo Grease does not cause stains. Application: Simply spray on thinly; this results in an almost ­transparent lubricating film.